As well as watching films, I like to talk about them. I just love a good film chat. This may well be the reason why I enjoy movie podcasts so much - and I’m always on the lookout for new shows. The granddaddy of film podcasts, Mark Kermode and Simon Mayo’s informative and entertaining show is released every Friday. The podcast is renowned for its many Wittertainment-related in-jokes and references. While STLs (short term listeners) will almost certainly need to refer to the show's Witterpedia page, that is not to suggest the podcast is inaccessible for newbies. Far from it... all are welcome in the Church of Wittertainment (and, if you get in early, on the summer cruise). In addition to the jokes and fun, Mark Kermode gives his insightful thoughts on the (UK) box office top ten, reviews new film releases and selects his DVD and TV movie of the week. Meanwhile, Simon Mayo conducts thoughtful and fascinating interviews with actors and directors and interjects whenever he feels that Mark is going off on a tangent (usually involving his love of The Exorcist). Kermode and Mayo have been working together so long that their (often hilarious) banter is as comforting as a duvet and a mug of hot chocolate. They are always deeply respectful of their audience - many of whom feature (via emails, texts and tweets) on the show. I never miss an episode of Kermode and Mayo’s Film Review - their company is always a pleasure. Hosted by JD Duran and Brendan Cassidy, the Insession Film Podcast reviews both film classics and the latest movie releases. Demonstrating an infectious passion for cinema, Cassidy and Duran take their time to dive deep in their movie discussions. They don't always agree (and almost seem a little disappointed when they do) but their debate is always entertaining, good natured and respectful. In addition, they are both unfailingly honest - even when their opinions go against the crowd. One of my favourite things about Insession Film is their Extra Film podcast. This is an additional show dedicated to those smaller films that might not get included in the main podcast. You’ll find so many (often under-the-radar) movie gems here. I know that I have watched some superb films thanks to this podcast - films that I may well have missed otherwise (including Krisha, Tower, Princess Cyd and Band Aid). Matt Neglia hosts this fascinating film podcast with his team of regular contributors. The Next Best Picture podcast documents the film industry's annual journey to the Academy Awards. While I always enjoy NBP's film reviews, festival coverage and interviews, I really look forward to its exceptionally well informed awards analysis. Entertaining, informative and unmissable. The Empire Film Podcast is hosted by Empire magazine’s Chris Hewitt. This show is a welcome slice of informed reviews and (occasionally irreverent) fun. Hewitt and his team of contributors discuss the latest movie releases, consider the week's film news and interview the industry’s top players. In addition, every so often, the Empire Film Podcast also releases a Spoiler Special. These are fantastic shows as all aspects of a movie can be debated - and they often include fascinating contributions from the film’s director. Brilliant. 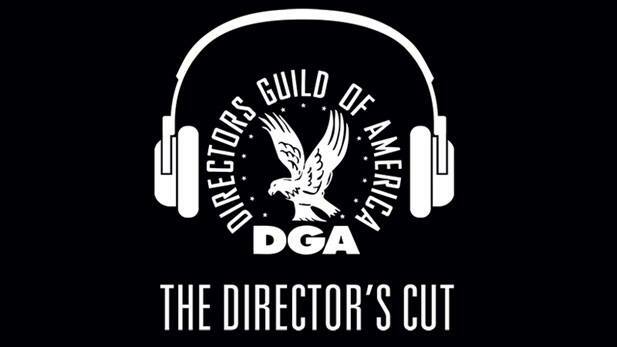 If you enjoy hearing directors talk about their filmmaking experiences then The Director’s Cut is for you. Every episode sees one director interview another. For example, a recent show invited Wonder Woman director, Patty Jenkins, to interview Steven Spielberg. No spoilers but it was wonderful. What films should be included in the list of all-time greats? In the Canon podcast, film critic, Amy Nicholson, and a guest discuss if a film should be Canon-ised. The entertaining and informative conversation usually revolves around one or two films - allowing for some in-depth debate. Ultimately, the decision is yours - at the end of each show everyone gets a vote. 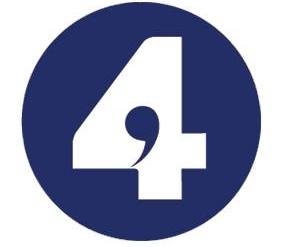 BBC Radio 4’s The Film Programme is short but densely packed with film reviews, insightful interviews and discussions exploring all aspects of cinema. In addition, the podcast is making its way through an A-Z of film directors. Only one director can make it through this process (per letter), which makes for some gripping (sometimes controversial) debate. Created and recorded by a small team of Curzon Canterbury staff members and collaborators, and produced by Jake Cunningham, the Curzon podcast started in early 2016. The team review all the latest releases, as well some classic films playing at Curzon Cinemas and Curzon Home Cinema. The show also covers select film festivals and special events, and often interviews special guests - an aspect of the podcast that I particularly enjoy. Hosted by film scholars Dario Llinares and Neil Fox, this podcast is for film fans and anyone with an interest in film criticism. Every show is full of fascinating, informed and intelligent debate about cinema in all its forms, genres and eras. I am fascinated by film music and always enjoy this weekly podcast. Edith Bowman asks a variety of film directors, actors, producers and composers to talk about the music that inspired them and how they use music in their films, from their current release to key moments in their career. The music (chosen by Edith’s guests) is woven into the interview and used alongside clips from their films. What Podcast Would You Add? 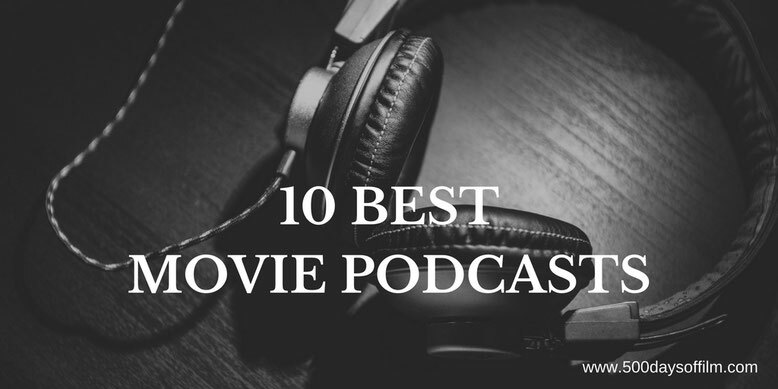 These are my top 10 best movie podcasts. However, as I mentioned above, I’m always on the lookout for more shows! If you have a podcast that you would recommend please do share it below or let’s talk film pods over on Facebook or Twitter (@500DaysOfFilm). I would add The Bechdel Cast, as well as Filmspotting and the Film Inquiry Podcast. The Screen brum podcast. Of course! Cinephile: The Adnan Virk Movie Podcast Show - believe it or not, this is a movie podcast from ESPN and it's really entertaining and has nothing to do with sports. We’d highly recommended The Film ‘89 Podcast, no bias of course! Check out Grindhouse Messiah. 2 guys chat with actors and filmmakers about faith and fringe cinema. Damn good list of some great movie podcasts. I love Insession Film and Next Best Picture podcasts. Matt, JD and Brendan are all great hosts. I would like to reccomend. How is this movie, hosted by Dana Buckler. Simplistic Reviews, hosted by Dj Valentine, Matthew Stewart and Justin Pollizzi. And Cinema Recall, hosted by yours truly. A podcast where I and a guest discuss an iconic moment from a classic movie. I have more to reccomend later. My personal list would include Filmspotting, Fighting in the War Room, Next Picture Show, The Q&A with Jeff Goldsmith, Shock Waves, and The Movie Crypt. This one has been on the air, streaming online and available on-demand since 1996. If you fancy film music, then this one is for you! If you're on the lookout for new movie podcasts to listen to I recommend these. Disappointed not to see the Slashfilm Cast on this list!